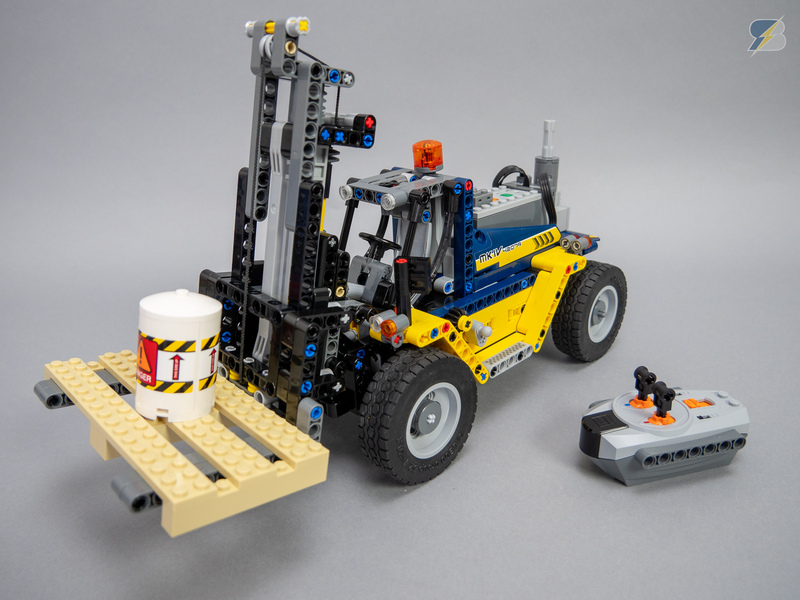 LEGO® Technic 42079 Heavy Duty Forklift upgrade pack that enables the remote control of the vehicle. One M motor is used for steering, the other M motor can power 2 different functions - it can drive the vehicle or it can control the fork elevation. There's a function selector on the side of the vehicle to choose between these two functions. The mast tilt angle is controlled manually with a linear actuator instead of the previous mechanism to achieve precision control.